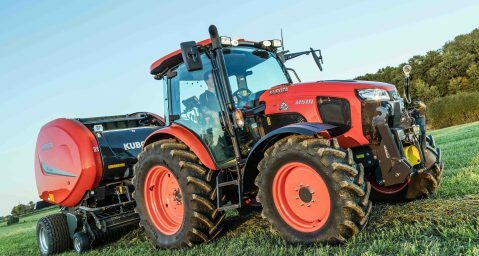 Thame, UK, 18th September 2018 – Kubota Agriculture is bringing its extensive portfolio of farm machinery products to Ireland for the first time, with the launch of its range of Kubota-branded agricultural implements. 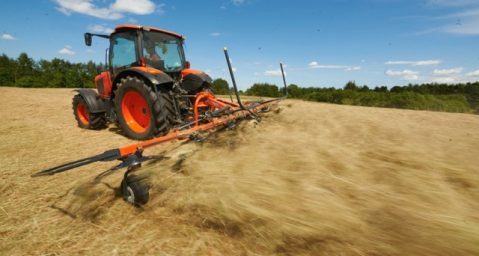 The Kubota range of agricultural implements includes a selection of disc mowers, rakes, tedders, flail choppers, fertiliser spreaders, round balers and wrappers, which are manufactured and distributed for Kubota by the Kverneland Group. Kubota is using its presence at the Irish National Ploughing Championships 2018 to launch its implements range in the country. “Kubota implements are designed to unlock greater productivity, efficiency and higher yields for our customers,” says Rob Edwards, Kubota Agriculture’s business development manager. “We’re excited to launch the full range in Ireland so that our Irish customers can benefit from using Kubota implements for the first time, via our expert authorised dealer network. “The range of implements is customisable, feature-packed and easy-to-use, as well as being specifically designed to offer reliability and longevity. The launch of this range means Kubota now provides complete farm solutions for its agriculture customers in Ireland, a clear indicator of the continued investment Kubota is making in the Irish market to grow its dealer network and product portfolio,” adds Edwards. Kubota acquired the Kverneland Group in 2012 with the intention of offering high-quality, Kubota-branded agricultural implements to its customers. Today, Kubota offers a wide range of implements in distinctive Kubota orange to complement its popular range of agricultural and specialised tractors. With this launch, Kubota Agriculture now offers a range of grassland-oriented implements in Ireland as ideal companions to the size and power ratings of the Kubota MGX- IV, M4002, M5001 and M7002 tractor ranges. About Kubota Holdings Europe B.V.
Kubota Holdings Europe B.V. with headquarters in Niuew-Vennep, the Netherlands, is a wholly owned subsidiary of Kubota Corporation. Founded in 1890 by Mr. Gonshiro Kubota, the company is present in more than 110 countries, with revenues of +1.7 trillion JPY in 2017. Kubota Holdings Europe operates across Europe with more than 2000 employees. Kubota is a manufacturer and wholesaler of farm and compact equipment, engines, and construction machinery. Issued on behalf of Kubota by Hotwire Global. 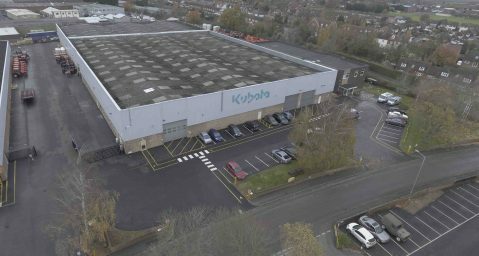 Leading machinery manufacturer Kubota UK has invested £1.2 million to enhance operational performance and continue to set the highest health and safety standards at its UK headquarters in Thame. The CESAR security and registration scheme is owned and managed by the Construction Equipment Association (CEA) and supported by the Agricultural Engineers Association (AEA).